Most cities have one—if not several—landmarks. Chicago has the Water Tower. New York has Grand Central Station. And Mill Run, Pa., has Fallingwater. Rural Pennsylvania became an architectural focal point in 1937 when renowned architect Frank Lloyd Wright designed Fallingwater for the Kaufmann family. 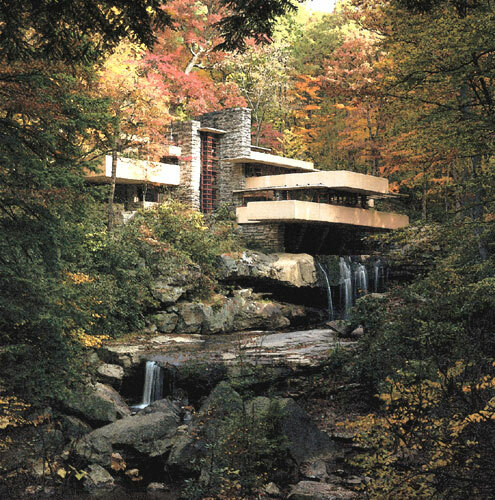 The family, who owned Kaufmann's Department Store in Pittsburgh, used Fallingwater as a vacation and weekend home until the home was donated to the Western Pennsylvania Conservancy (WPC) in 1963. Although WPC strives to preserve Fallingwater so its uniqueness can be enjoyed by visitors, some believe Wright did not intend the vacation home to last as long as it has. Despite this belief, WPC embarked on an $11.5 million renovation project, which focused on restoring Fallingwater's sagging structure. Photo courtesy of Christopher Little. Fallingwater, Mill Run, Pa., was designed by architect Frank Lloyd Wright in 1937.